Mother goose is one of those fictional characters that fascinate us from kindergarten days. The old lady in her cape and hat, reading poems and stories to the kids, stays as the symbol of the greatness of reading to children. 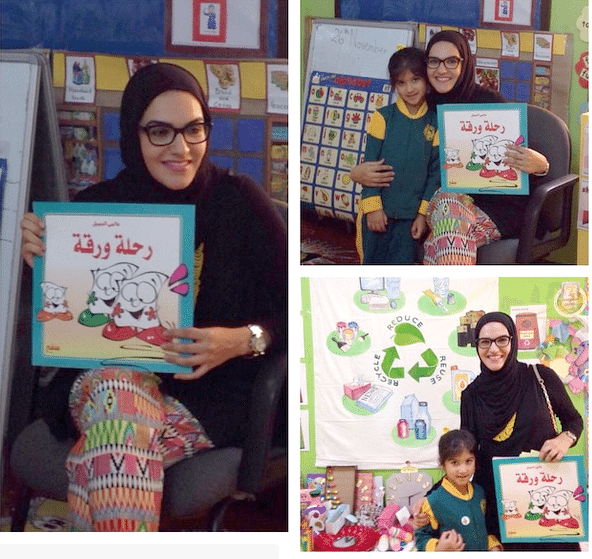 The kingdom of Bahrain is indeed lucky to have the young and vibrant Mrs. Eman AlGhawas, the founder of Bookworms, on a mission to spread the habit of reading. When BTW met Eman for the first time, she was surrounded by kids of all ages with their eyes shining bright with eagerness to get the rest of the story, as she continued to read to them in a dynamic style. Following are excerpts from the conversation we had with Eman. Previous articleYoga – What is it?